Could Kawhi Leonard Be On His Way to Toronto Raptors? 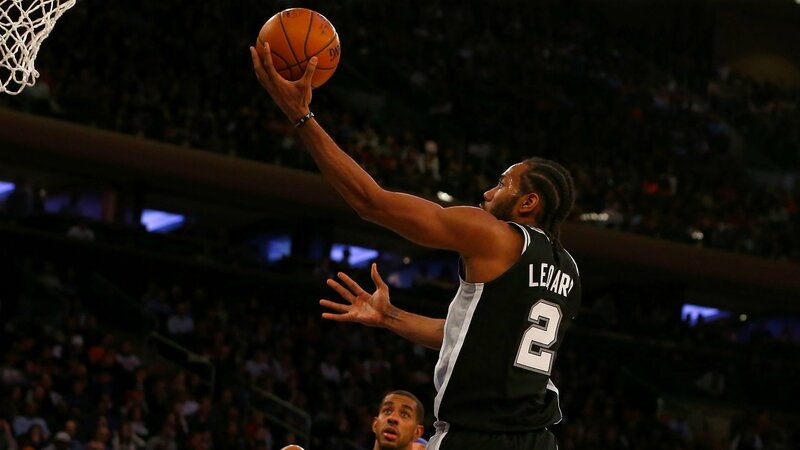 There haven’t been any concrete reports of the San Antonio Spurs trading Kawhi Leonard to the Toronto Raptors as of yet, but they could start very soon. Up until now, everything ever mentioned on sports media between the Spurs and Kawhi has been surrounding the Los Angeles Lakers and forming a superteam with LeBron James, him being fed up with the S.A. organization, wanting to play in Southern California (yet not playing second fiddle to the king and maybe signing with the Clippers) and trade scenarios involving the Lakers young core. Now, we have odds that put Toronto at the top of the list to land Leonard’s services. Of course, this could be us reading too much into it, but it’s quite interesting that the Raptors’ odds are even now. Remember, Las Vegas always knows. Whether or not the Raps could trade Kyle Lowry or DeMar DeRozan and some young pieces for potentially, a one-year rental remains to be seen. A combo of DeRozan, OG Anunoby, Jakob Poeltl and a future first round pick could be worth it for them, especially now that LBJ is out of the conference and they will never get swept by him again. They already fired the coach after he led them to their best regular season record in franchise history, why not ship out one of their guards? Interestingly, DeMar DeRozan’s Instagram has been wiped clean from anything Raptors.